Becoming the victim of a truck accident can be jarring to say the least. You may not know where to begin when it comes to the legalities involved with insurance companies or a lawsuit. Here are several things you can do to ensure you protect your legal rights after a commercial truck accident. The accident should be reported to your insurance company. When you call them, refrain from telling them how you feel and do not give any more information beyond what is on the accident report. If your insurance company asks any question that you feel uncomfortable about answering, tell them they can speak to your attorney. Do not sign anything before you contact a lawyer qualified to handle truck accidents. You may be contacted by your own insurance company, but also by others. Remember, do not say anything or sign anything until you have an attorney. Once you have an accident lawyer, you can give their number to any insurance companies that call. Experienced lawyers can handle any questions regarding the accident. If the driver of the commercial truck works for an organization, their claims adjustor may contact you about the accident. This person is looking out for their company only and will seek to use information you give to minimize the amount the company will owe. A claims adjustor may try to convince you not to hire a truck accident lawyer, in order to prevent you from filing an injury lawsuit. It is recommended that you only give your attorney’s phone number to the adjustor, rather than speaking with them. If you do not have one, you can let them know you are hiring a lawyer and take their phone number down. 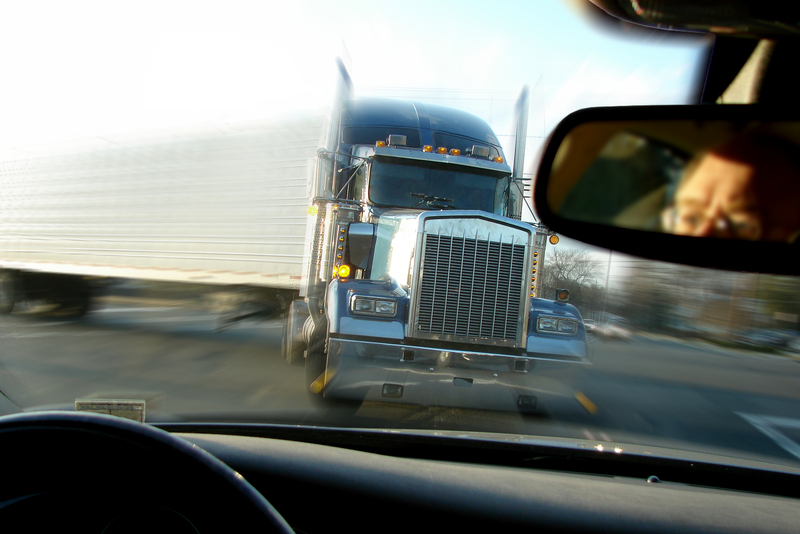 Although being involved in a commercial truck accident can be overwhelming, try to get as much information as possible. The first thing you should do is get information from other drivers, witnesses, and anyone else who may have been involved in the accident. This includes phone number, license plate numbers, and insurance information. You should also take pictures of your vehicle, the truck, and your injuries. If this is not possible, see if you can have a loved one help you. After you have hired a lawyer, you should provide them with all of the above information, as well as the police report from the accident. Be sure to take any photos of your damaged vehicle before repairs are made to it and after. If you are injured in a commercial truck accident, but do not need immediate medical attention, be sure to visit a doctor at some point. It is important to take care of your health. Once you have been seen for any medical conditions received from the accident, be sure to get their contact information, your bills, and your records to your lawyer. The best way to receive the compensation you deserve after a commercial truck accident is to seek the help of an experienced personal injury lawyer. An attorney and their team will be able to gather documents and investigate the accident in order to provide you with the best results possible. Car accidents can be stressful and expensive to handle, and it can be difficult to know how to protect your legal rights. If you have been involved in a commercial truck accident, finding a lawyer that cares about you is vital. Contact attorney Dean Boyd for more information about how we can help you with your claim. Call us at (806) 242-3333 or Contact Us by email to learn more about our Services. You can also visit our offices at 4423 SW 45th Ave in Amarillo, Texas or 5012 50th St #103 in Lubbock, Texas.